In our lives, there are many situations, when it would be convenient to control your computer at home or in the office remotely, using only a smartphone that is not connected to neither the Internet nor a common router. These situations can be easily resolved by the “Bluetooth remote control PC” applications for Android and we are going to talk about one of them. Today, you can find about 10 good programs for the remote PC control, but only a few of them can support multiple communication technologies with the PC. Normally they are limited with the Wi-Fi connection. However, we came across a free program from Google Play. It is called Unified Remote. It supports PC control from Android via Bluetooth and via Wi-Fi, depending on what you prefer in this situation. Like all similar applications, the control process interacts with the server part, which is separately installed on the computer. Download and start the Unified Remote on your smartphone. After the start, you will see a window with a link to the site. You have to open this page on the PC. On the official website, download and install the server part for Windows, and then run it. Press the «I HAVE INSTALLED THE NEW SERVER!». Next, you will see the main application window. Make a swipe to the right to call the additional menu. We need to choose our computer for further connection to it. Select «Servers». Make sure that your computer is running a server program that you downloaded earlier. Also, enable the Bluetooth on both devices. On your phone, find your computer name on the list of available devices. Choose the name of it near the Bluetooth icon, because we wish to control it via Bluetooth. After these steps, your smartphone will connect to a PC. You are ready to control. The program has a nice array of features that are quite convenient for using. Use your smartphone’s display as a touchpad. Call the standard Android keyboard for text input on the PC. If «Keyboard» is selected, you will see an original keyboard. It performs the same role as the standard keyboard, but also it has additional buttons and covers an entire ​​the display. You can choose what is more convenient. The final item in the list is the «Screen (Preview)». 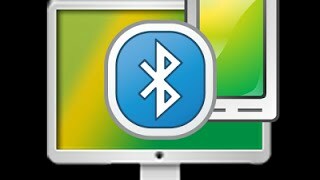 If you select it, you will see that computer’s desktop will be shown on the display of the smartphone. Everything that will happen on the PC will be displayed on the phone (this function only works in the paid version of the program).